In all the horrific corners of the Civil War, there was no hell worse than Andersonville, the Yankee prison camp run by evil, sadistic General Thomas Wainwright. In the war’s aftermath, a survivor of Andersonville summons Joe Buckhorn to New Orleans, and asks the gunslinger to kill the general—not simply for revenge, but to stop another atrocity. 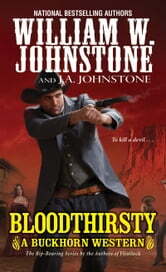 Wainwright has seized control of Wagontongue, a township on the edge of the Arizona desert, and he rules it as brutally as he once did Andersonville. With an iron grip on the town’s only source of water, he keeps the locals cowering under his cruel heel. 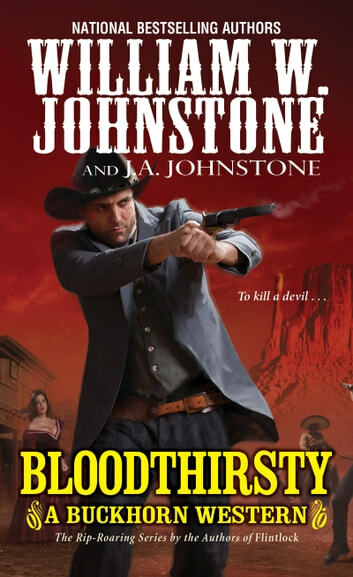 Buckhorn rides on Wagontongue to overthrow the merciless despot, and finds that Wainwright has plans for a bloody revolution, which Buckhorn will shoot through Hell and back to stop . . .